The exchange of goods and services amongst people represents the economy as we know it today. However, we know that these transactions draw upon resources in the natural system represented by exchanges between people and nature. This heavily influences interactions within the natural system impacting the capacities of the natural system to be drawn upon. The ultimate objective of all economic transactions is to enhance ‘the real wealth of society’ measured by the quality and health of the five capitals – physical, social, human, financial and natural. We therefore need to understand whether or not the economic strategies and solutions that we employ add value to or enhance the fundamental capitals. As societies and nations, we do not monitor all capitals equally. Nations very diligently measure and track the growth and enhancement of financial capital through the GDP and economic survey reports. To a large extent, the physical and human capitals are being tracked through the Human Development reports and to a limited extent, the health of the natural capital, by the State of Environment reports. Social capital is hardly measured, and we even do not have a regular reporting system for it. An even bigger gap exists in our understanding of the inter-dependence and relationships between these capitals. In fact, the uni-directional draw upon one type of capital (nature) to grow another (finance) is so ingrained in our economic strategies and actions that the inevitability of ‘trade-offs’ has been the dominant narrative in the sustainability debate. Typically, this dominant narrative has pitched environment – natural capital against development – human, financial and physical capitals. And social capital, which could have been the catalyst for synergy is lost in debate, only surfacing in the ‘social justice’ frame, often in isolation. The SDG framework for the first time has challenged this narrative. For development to be sustainable, it is necessary that each of the five capitals achieve their right balance such that their interactions maintain the whole system in a state of autopoiesis. Can economic or transactive interactions between the elements of the system – that is people and nature, be such that they lead to enhanced capacities and potential of each? The SDG frame is compelling us to ask whether our policies and implementation processes enable balanced outcomes, and by doing so is forcing us to seek transformative solutions and strategies. For example, do production systems lead to more and better quality jobs? Do they lead to positive or neutral water and energy foot-prints? Do they enhance, and at least not disrupt eco-system processes that treat effluents and excretions into soils, air and water? Do they improve social interactions and safety nets in times of distress? Is public expenditure leading to fundamental human and social capacity enhancement? Are public services from private finance universally accessible and environmentally benign? And does the market and governance architecture service the small and medium economic processes just as they do the large industry? 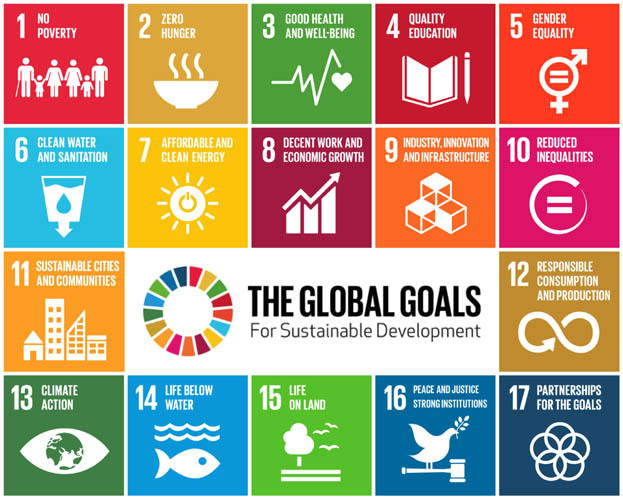 The UN’s Inter-Agency and Expert Group on SDG Indicators (IAEG-SDGs) has set up the basic indicator frame for measuring and tracking the Global Goals. India’s processes to develop and refine indicator sets relevant to its own context are also in the advanced stages of finalisation. India has prioritised economic growth, skill development for industry, basic amenities for all and food security in the 15-year period. In such a scenario, it will be useful to track the efficiency, effectiveness and relevance of the strategic economic engines – cities, manufacturing hubs and the service sector that are expected to achieve our development priorities. How will these be achieved without the ‘trade-offs’ and rather with ‘win-win’ synergies? It will be useful to understand how results of policy strategies such as changes in taxes, subsidies or credit support the above, and the impacts of governance regulations such as social audits, mandatory disclosures and procurement and resource management guidelines facilitate the above. Are these strategies and mechanisms resulting in the demand for and design of solutions that would reduce resource intensities in production, promote greater social cooperation through sharing systems and enhance the ability of people to live prosperous, dignified lives? It is time we subject our policies, programmes and solutions to such a scrutiny. Only then will we move on a path that enhances all five capitals synergistically and only then will we be able to live in balance.